a debate of if I really want another Stormtrooper costume or not. 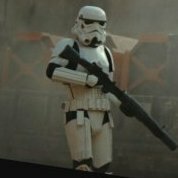 One can never have to many Stormtrooper suits Would you go for the TK since you have a TD or the jedha-trooper with the backpack? Lol, yeah but his will be my 5th costume in the legion. Would you go for the TK since you have a TD or the jedha-trooper with the backpack? I finished up bondoing sanding and painting the back. I'm pretty happy with the paint match but of course it's not a hundred percent. Weight is a very hard color to match as there are so many different shades of white. I drilled holes in the existing hovi mic tips and inserted screens. I wasn't sure if it was going to work but it turned out pretty good. I also replace the screen in the back of the frown and painted the underneath of the brow black. Definitely the hardest part was cutting out the tube stripes. I decided to use a Dremel and file it down. I saw in one build thread a guy had success by heating up an exact -o knife, but when I tried it I wasn't confident enough. Pictures aren't showing up (for me at least). You could always try a local paint shop, they're usually able to get close matches of paint, and many can do so with rattle cans as well. I can see them on my phone and I just checked on my laptop and they show up there as well. I have had costume colors mixed before but $20 a can is a bit much. The white I have is close enough and will do. So I decided to keep the original conection points so that everything lines up as it was intended to. You can see I used the original lenses and just cut them out, E6000 the new lenses behind the old ones. I like the idea of being able to take out the lenses if I want to and replace them. I also put a piece of foam at the bridge of the nose to help with comfort. I'm pretty sure these helmet mods are only interesting to someone who is or has worked on one of these helmets. I think the main difference is really the packs. There may be some differences in weathering but its all the same armor. I think maybe the one with the smaller TD-like pack has more pauldron options? Maybe? I am not sure. We have a few build threads for both of these pack over at the MEPD (thats where these trooper will be living) our CRL is in progress. We are in search of a CRL model to finalize them. We are in search of a CRL model to finalize them. That's what I've been seeing online aswell, but where is the reference for that? Or is it, they had to call it something and someone just adopted that? Yup Thats correct. Lucasfim is usually pretty loose when naming troopers, to them everything is a Stormtrooper haha. 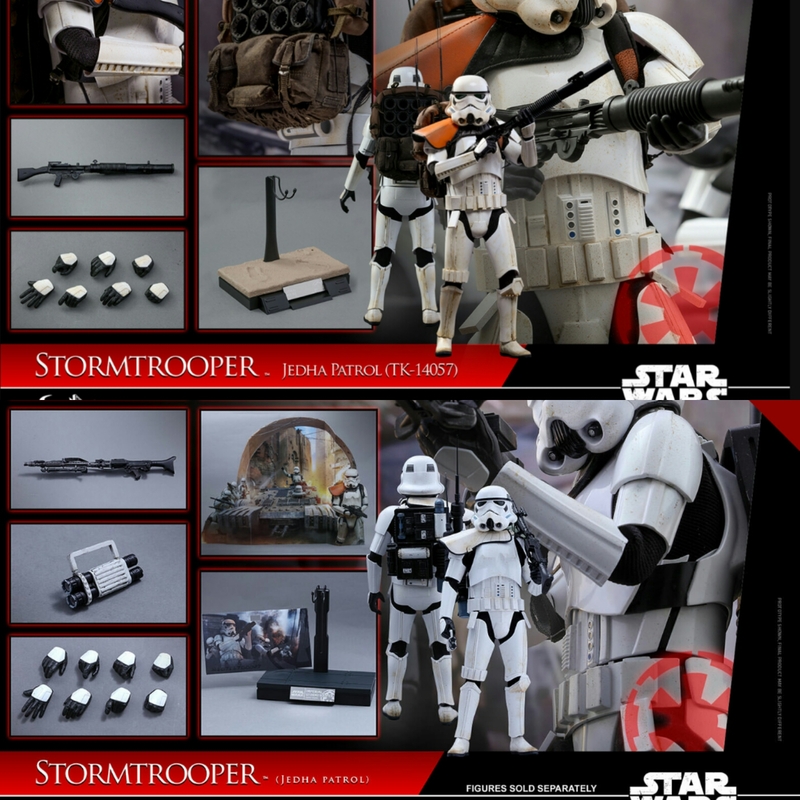 As far as the 501st goes, both packs for this trooper will be in one CRL on MEPD. With options for both packs in the CRL (like how it is with the ANH Sandtrooper packs). This is the plan for now, but may change once we get things finalized. These are the best that I have. The first I think is from Celebration, the second from the "walking through the water" scene that never was and final two are from the visual guide. Where did you end up getting the boots and pauldron from? And armor shipped out Friday, should be here Wednesday. IV decided to fill in the indents with bondo and sand them till they look right. Yeah! Finally! I think this is the sixth 'big brown box day' for me.